Amit Kumar from Agra, B.Sc Graduate. 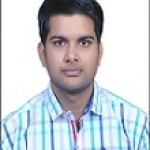 Amit Kumar is Management Trainee and currently have no work experience. Amit Kumar is working in Human Resources industry.